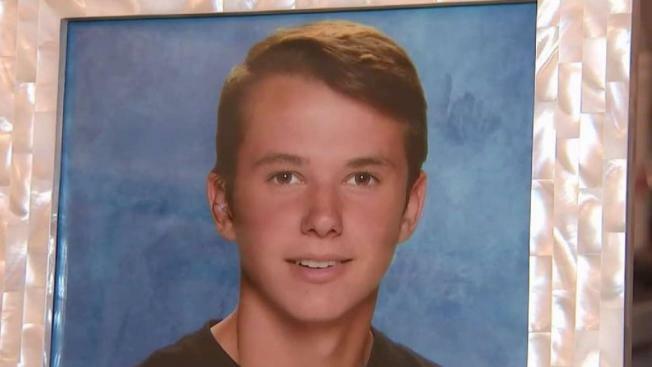 The parents of a teenager who died trying to car-surf an Uber are warning of the deadly dangers of going after likes and follows on social media. Marc Santia reports. The parents of a teen who succumbed to a head injury after his Uber driver let him ride on the roof of his vehicle want to make sure no one else has to endure the pain they went through when they lost their son. Ryan Mullen, 15, died after he fell off the roof of a vehicle in Huntington Station on Sept. 23 and hit his head on the pavement. In an interview with NBC 4 New York, the boy’s parents, Matt and Janice Mullen, said they hoped people would watch a video posted to social media that shows their son “car surfing” on top of the Uber. The video shows that the consequences of participating in dangerous activities to garner “likes” on social media are real, they said. “It’s thinking you’re invincible, that you really can’t get hurt,” Janice Mullen added. Police say Ryan and two friends offered to give Uber driver Danyal Cheema money if he let them ride on top of his car. Cheema ultimately let Ryan and another teen ride on top of the car, at which point Mullen fell off. The entire incident was posted on Snapchat, Suffolk County District Attorney Tim Sini said previously. The Uber driver was charged with manslaughter in Ryan’s death, but has pleaded not guilty. Cheema allegedly dropped Ryan and his friends off at one of their homes for a sleepover after the incident instead of taking him to the hospital. “Ryan died in his sleep,” his father said. “He had traumatic brain injury, fractured skull and cranial bleeding." The video of the incident shows Ryan looking dazed after he falls off the roof. "That right there should have been a signal to reach out for medical attention," his dad told News 4. The Mullens hope to raise awareness about the incident and spark changes in the rideshare industry by talking about their son’s death. Since Ryan's death, the family's tight-knit community has stepped up to help the Mullens and their daughter, raising thousands of dollars by selling t-shirts and bracelets in hopes of keeping Ryan's spirit alive. "I don't know how I would have managed the last few months without his friends," Ryan's mom said.